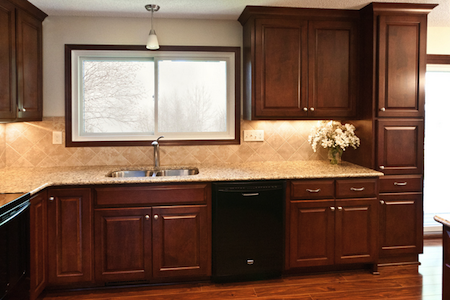 Cabinet Maker or General Contractor: Which One Do You Need for Your Kitchen Remodel? 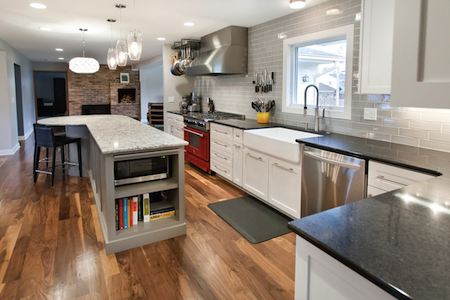 Kitchen remodels continue to be one of the top home projects for homeowners. One of the core parts of every kitchen project is selecting new cabinets. Many homeowners start by selecting a cabinet maker to help establish the new design of the kitchen and cabinets, but neglect to think through the building of the rest of the kitchen. So how do you know who you need to complete your remodel? What subcontractors will you need to hire? How will they be managed? What materials will you need to select and have installed (cabinets, countertops, flooring, etc.)? Will you be moving plumbing or electrical? How much time will you have to check in with and/or manage the project? 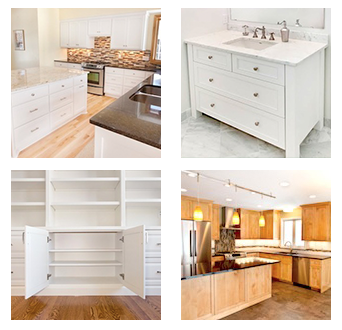 Your selected cabinet maker will work with you to design your cabinets, including updating the layout of your kitchen. They will also help you select the materials and finishings for the cabinets. Key things to look for when selecting a cabinet maker are the quality of product and timeline for ordering. The chosen cabinet maker should have a passion for the work and be responsive to your questions and needs. In planning your cabinets, be sure to ask if they install the cabinets or if you will need install them yourself. A general contractor serves as the main manager of your home remodel and your main contact. They help plan your project and see all of the details through, including hiring subcontractors, ensuring work is done correctly and to code, and handling any issues that arise. For an average remodel, you will likely work with an electrician, a plumber, a countertop contractor, a cabinet maker/contractor, a flooring professional, a painter and someone to install the appliances. Your general contractor may be able to serve some of these roles in addition to his other duties. They also help manage your budget, often times helping to find products and materials at lower prices. Tell us about your kitchen cabinet upgrade or kitchen remodeling experience and share your tips for other homeowners. Leave a comment here, or share your pics with us on our Facebook page or on Pinterest. Feel free to also send us an email or give us a call! You can reach us at 952-737-7088.